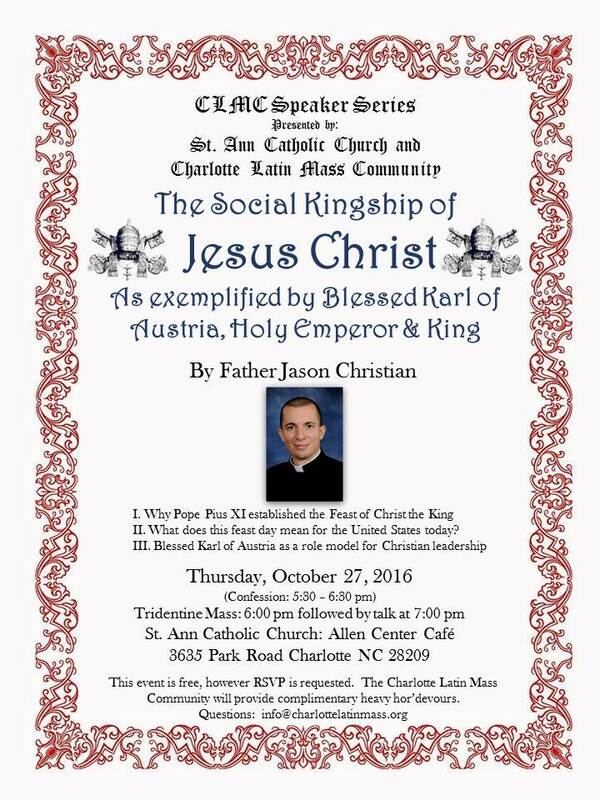 Just a reminder of tonight’s talk with Father Jason Christian on the Social Kingship of Christ and Blessed Karl of Austria. 7pm talk at St. Ann’s Allen Center cafeteria. Light dinner meal will be served.